Cardi B is symbolically sharing her Grammy Award for Best Rap Album with fellow nominee Mac Miller, who died in September 2018. Miller’s parents were in the audience when a visibly flustered Cardi B took to the stage and accepted her first-ever Grammy for “Invasion of Privacy.” His fifth studio album, “Swimming,” was also up for the award. Not at the ceremony, however, was Ariana Grande, who vented her frustrations the moment that Miller lost to Cardi. 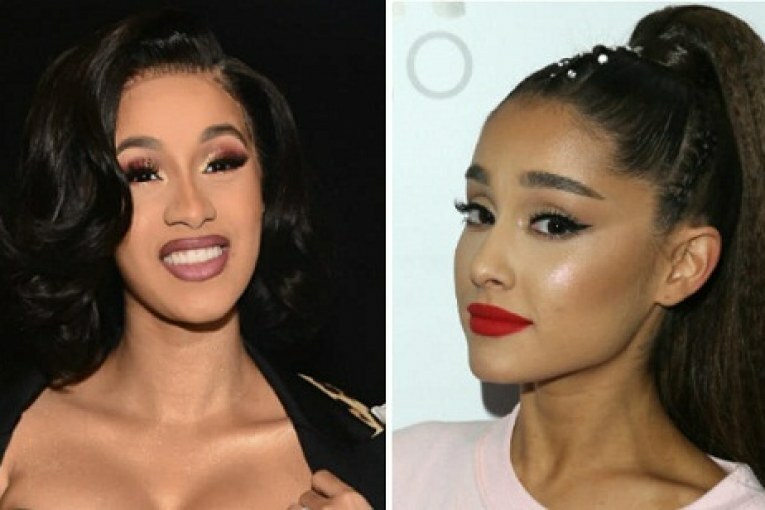 “Bulls–t,” she tweeted, although she clarified that her response was “nothing to do” with Cardi. “Good for her. I promise. I’m sorry.” Rather, she said, she was upset that the Grammys “invited [Miller’s] parents” without granting him the award. Backstage after her win, elated Cardi took to Instagram to thank her family, friends — and Miller, eliciting a warm reaction from Grande. “I read an article that Mac Miller’s family said that if he don’t win, they want me to win so I’m sharing this Grammy with you mother f—er. Rest in peace,” she said. She later posted a screenshot of the article. In response to the video, Grande commented a bunch of black heart emojis. Grande, who dated Miller for two years, deleted all of her tweets about Miller’s loss just minutes after posting them, perhaps because fans were mistaking her disappointment about Miller for a dig at Cardi. In a very surprising twist, Miller’s mother, Karen Meyer, attended the event with Cazzie David. David was in a long-term relationship with “SNL” comic Pete Davidson until May 2018, and while the details of their split are unclear, it’s no secret that he quickly became engaged to none other than Ariana Grande.